September (Approx. 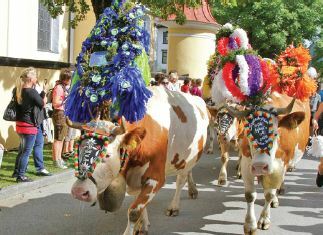 17th-24th) is when the villages in the Tyrol celebrate the annual ‘Almabtrieb’. The festival celebrates the end of the summer when the cows are led down the mountain to their stables for the winter. Cowbells echo through the valley as hundreds of cows pass by, all highly decorated in traditional costume. You’ll be welcome to join in the festivities! Owned by the Hochfilzer family since 1832, this is one of Ellmau’s most popular hotels thanks to Ingrid and her team who cannot do enough for their guests. The traditional Claudia is situated in a quiet location on the edge of the village with views of the Chapel of Our Lady. Enjoying a marvellous panorama of the Wild Emperor Mountains. The superior Bär enjoys splendid panoramic views from its elevated setting close to the village centre and has been completely refurbished recently. The Wilder Kaiser region is part of the world's largest e-bike region "Kitzbühel Alps and Kaiser mountains". 275 electrical bicycles and 75 rental or battery charge stations are available to the e cyclists. Bicycle track route is planned away from the main traffic and leads via Kufstein to the Wildschönau and the Hohe Salve, across the Brixental valley, Kitzbühel, St. Johann in Tyrol, to the Kaiserwinkl, Wilder Kaiser and through the Pillerseetal valley. Any age or skill level rider will discover great fun, diversity and challenge . There are more than 350 km cycling and mountain bike tracks in the area catering for all different abilities. Ellmau hosts a variety of events each week including the ‘Summer Nights’ Festival with arts & crafts, food stalls and live music, brass band concerts at the music pavilion plus various festivals & events throughout the summer. Hartkaiser Mountain has 4,000 square meter magic mountain playground featuring a carving hut, climbing structures, a maze, water features and a magical rain forest where kids can climb, explore, splash and play to their heart’s content. Nature walks, Botanical Gardens and the Alpine Trail will keep children entertained, with plenty of educational signs about local fauna and flora. There is Bergkaiser Panorama Restaurant terrace to admire the incredible vistas of the mountains and enjoy the lunch. Your little explorer is sure to have a blast in this mountainous, magical land of activities. Water area with luxurious indoor pool and a flow channel out into the outdoor pool, plus its own organic pond. Outdoor area has a superb water play area where children can play with water cannons and water mushroom fountain and a slide providing non-stop swimming fun. Those who want to get more activity can put the tennis hall to good use, go for a game of squash or head to the climbing wall. Hartkaiserbahn – open from approx 11 May 2019 - 10 October 2019. One of the prettiest areas of the Tyrol with an expansive network of over 700km of marked paths, through meadows and valleys up to higher ridges and past stunning lakes and mountain alms. The 4 villages of Ellmau, Söll, Going and Scheffau are well connected and there are also walks over the back and down into Brixen and Westendorf. Getting Around | 13 lifts operate during the summer around the Bergwelt area, taking you to the start of many scenic walks and the Hartkaiserbahn cable railway is open from late May to October. The Kaiserjet bus (free with your hotel guest-card) transports walkers between the villages of Söll, Scheffau, Ellmau and Going making it easy to explore other areas as well. The Wilder Kaiser GästeCard is available free of charge from your hotel upon arrival and is valid for a period of your stay. Walkers' Lift Pass buy locally | from €62.50 - 6 days | from €46.50 - 3 days | please present your guest card for a reduced rate. The Bergwelt Wander Pass is available locally from late May to end of the season and includes all 13 lifts in the Bergwelt region. The pass also gives access to 6 children's play areas at the tops of the mountains. Free "Keiser Jet" bus between Going, Ellmau, Scheffau, and Söll. Consecutive days only. Other durations are available locally. 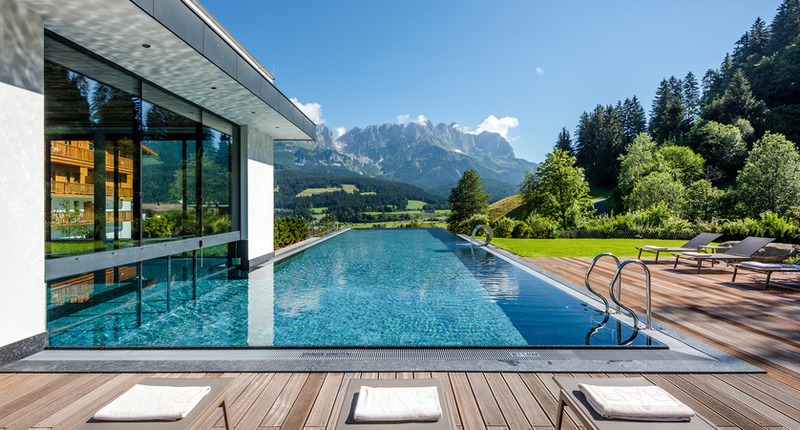 Two Centres | Combine your stay in Ellmau with 3, 4 or 7 nights in another Austrian resort of city. We recommend the city of Salzburg for a cultural experience or Zell am See for a relaxing lakeside holiday.